SASCO’s fleet of multipurpose ice class vessels are available for voyage or time charter. 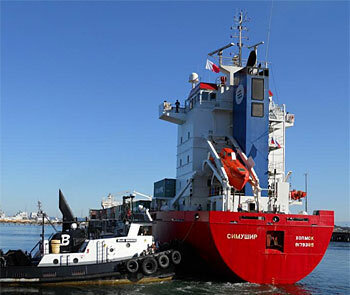 Typically the SASCO vessels trade from Russian Far East Ports to China, Japan and Korea carrying bulk commodities such as coal, metal scrap, lumber and logs. From China, Korea and the US West Coast the SASCO vessels are available for contracts for carriage of containers and breakbulk commodities including mining and construction equipment. SASCO has since 2011/12 been offering contract service from China and Everett WA to Pevek for Kinross Gold – a major Canadian Mining company with operations in Russia, Alaska, Nevada, South America and Mauritania. You can find more information about Kinross here and specifically about the Russian Mining operations here.